The Special Report on Global Warming of 1.5°C released by the Intergovernmental Panel on Climate Change (IPCC) on 8 October 2018 identified Southeast Asia as among the regions that would be the hardest hit by climate change in the near future. Specific negative effects for Malaysia would include changes in rain patterns, rising mean sea levels and related coastal flooding, and more frequent extreme weather events. 2014 figures indicate that Malaysia is ranked third in the region in terms of CO2 emissions per capita (8.00 metric tons)  after Brunei Darussalam and Singapore. This is almost double the world average and is a clear indication that Malaysia’s commitment to reduce emissions is essential for the sustainable future of the region. In the Government of Malaysia’s Intended Nationally Determined Contribution (INDC) to the United Nations Framework Convention on Climate Change (UNFCC) in 2015, Malaysia has committed an unconditional reduction of emission intensity of 35% by 2030 from its 2005 baseline, with a further 10% reduction upon receipt of climate finance, technology transfer, and capacity building from developed countries. 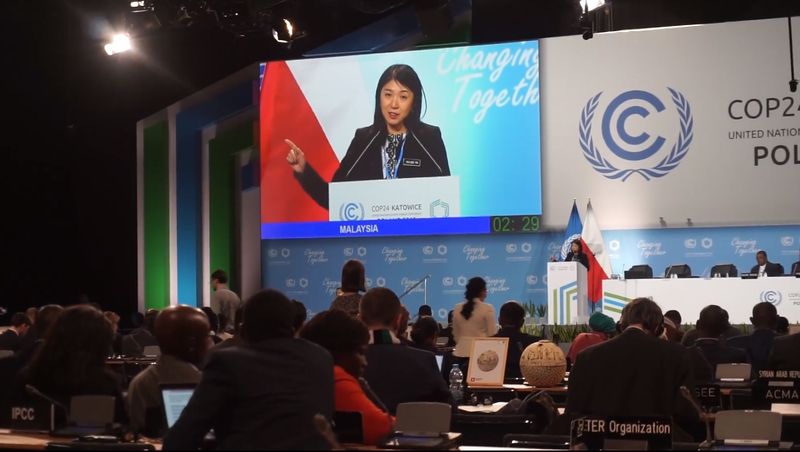 Most recently in December last year, Malaysia’s new Minister of Energy, Science, Technology, Environment and Climate Change (MESTECC), Yeo Bee Yin, addressed the high-level segment of the United Nations Climate Change Conference (COP24) in Katowice, Poland, reinforcing these commitments. How did we get here? 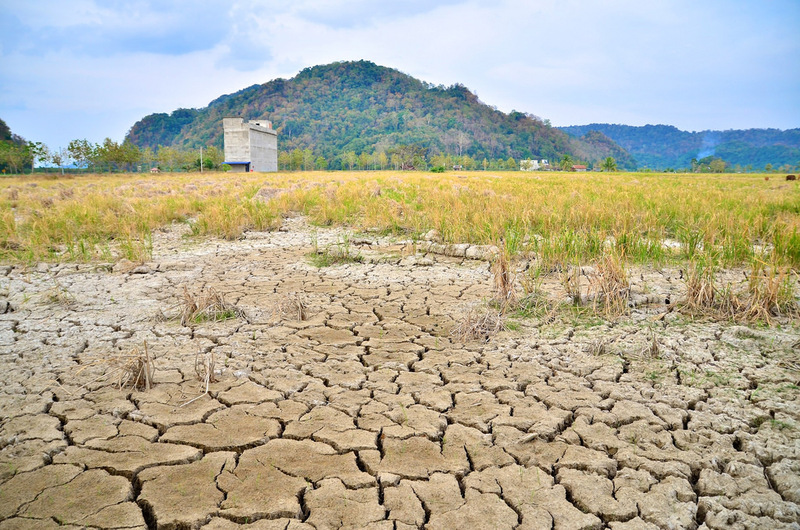 This article explores the trajectory of Malaysia’s international engagement with the climate change debate over time, and its related efforts at the national level. With Malaysian politics making world news last year after an unprecedented change of government, this piece considers the extent to which the country’s political change is influencing its approach towards climate change. 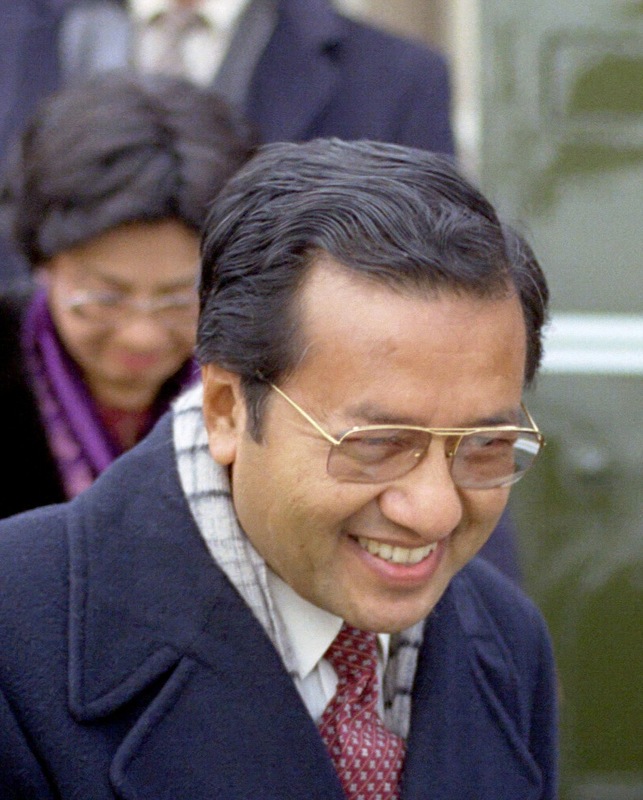 Mahathir Mohamad, who is currently serving as Malaysia’s seventh Prime Minister of Malaysia, played an important early role in positioning Malaysia within the international climate change debate. This can be traced back to the United Nations Conference on the Environment and Development (UNCED or Rio Earth Summit) 1992, where Mahathir, who was then the country’s fourth Prime Minister, was invited to address the summit. His speech carried a powerful message: “Most developed countries have already destroyed their capacity … they clear-felled their forests … The poor countries have been told to preserve their forests and other genetic resources on the off-chance that at some future date something is discovered which might prove useful for humanity. This is the same as telling these poor countries that they must continue to be poor because their forests and other resources are more precious than themselves … Denying them their own resources will impoverish them and retard their development … Now the rich claim a right to regulate the development of the poor countries … As colonies we were exploited. Now as independent nations we are to be equally exploited”. Following the speech, Mahathir was hailed as a champion of the developing world. His ideas were largely credited with influencing the trajectory of the UNCED to be more in favour of developing countries: the language of the documents resulting from the UNCED, like the Rio Declaration on Environment and Development, Agenda 21 and the Forest Principles, reflected the concerns of developing countries for sustained economic growth. Mahathir’s stern words however did not spell out the unwillingness of Malaysia to engage with international climate efforts completely. At the same conference, Malaysia pledged to keep 50% of its total land area under forest cover. Malaysia has also gone on to sign and ratify the UNFCCC and the Kyoto Protocol, and other related agreements like the Vienna Convention for the Protection of the Ozone Layer and the Montreal Protocol on Substances that Deplete the Ozone Layer. These ratifications however were only weakly supported by national policies. The question of environmental protection remained a particularly sensitive one in Malaysia; highly politicized and part of a much larger debate over resource allocation. Only close to the end of his inaugural Prime Ministerial tenure, Mahathir’s cabinet finally approved the 2002 National Policy on the Environment after a six-year delay. After many years of strong economic performance fueled by natural resources, this policy was unpopular among influential business groups fearing that it would affect continued economic growth, and this was the main cause of the delay. Mahathir stepped down as the fourth Prime Minister of Malaysia in 2003, however in many ways his “let us develop” legacy towards the country’s natural resources remained. The new leadership continued to stress a view of development that involved appropriating all available natural resources and their conversion into investible capital. Not long after the change of leadership, a new Ministry of Natural Resources and the Environment (MNRE) was established in Malaysia. For all the benefits of a separate and empowered Ministry for environmental issues, the MNRE largely perpetuated the traditional emphasis on exploitation and wealth creation, with its ministers continuing to push the argument that land and forests are national assets which must not be left dormant. As a result of this, Malaysia’s economy, fueled by the abundance of natural resources and raw materials, continue to experience significant surges of growth and progress. Despite this roughly business-as-usual approach however, Malaysia was proud to report in its 2015 INDC that it still managed to reduce its emissions by 23% from the 2005 base value by 2011. While on the international level, Malaysia continues to broadly agree with and support international climate efforts, it has also continued to be the voice of the developing world in highlighting the Southern developmental agenda. For instance, Malaysia has continued to insist on common but differentiated responsibilities. During COP21 in 2015, Malaysia was one of the lead negotiators under the G77+China group and also spoke on behalf of the Like-Minded Group of Developing Countries (LMDC). Prior to the Conference, Malaysia formally circulated a joint statement on behalf of the LMDC. This statement proposed, among others, the guiding principle that ‘any enhanced action of developing country parties must be accompanied by a corresponding equivalent in a scaled-up provision of new and additional, adequate and predictable financial resources, including for the transfer of technology’. Malaysia continued to insist on this throughout the COP negotiations, using the moral high ground by reminding the conference that the developed countries have not fulfilled their obligations since the UNFCCC came into place in 1992, while citizens in the LMDCs (housing two-thirds of the world’s poor) continue to suffer climate extremes. In fact, G77 + China and LMDC’s refusal to give in to the developed countries’ unwillingness to commit to enhanced financial mechanisms was one of the final stumbling blocks that stood in the way of the finalization of the Paris Agreement. In justifying the hard stance of the grouping, Malaysia stated that “you can’t have a two-wheel bicycle with one wheel removed and then wonder why it can’t move. The draft is unbalanced and excludes concerns of many”. This also caused significant delays of Malaysia’s ratification of the Paris Agreement, which it finally did on 16 November 2016. In May 2018, political history was created as Malaysia’s hitherto ruling party, Barisan Nasional, lost the general election after 61 years in power. 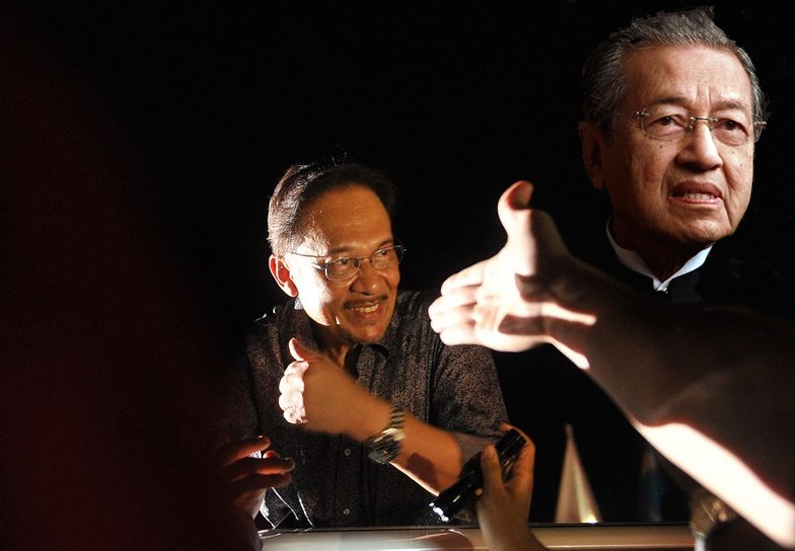 Pakatan Harapan (PH) took over leadership, together with a familiar face: Mahathir Mohamad, who had switched camps and now was once again Malaysia’s Prime Minister. Portraying the role of a reformed political doyen, the ‘new’ Mahathir professed a changed outlook on life and politics and promised to lead the ‘new’ Malaysia in this vein. Among the commitments in the PH manifesto that won them the election was to set up a council for climate change mitigation and adaptation. Environmentalists in Malaysia now dared hope for a more sustainable approach to development after decades of natural resource-fuelled growth. Under the new structure of government, the climate change portfolio was subsumed under MESTECC, notably given pride of place within the ministry’s name as well. Indeed, this is the first time that climate change has been formally incorporated into a Malaysian ministerial portfolio. The minister in charge, Yeo Bee Yin, is an engineer by training and was highly regarded as well-qualified for the post. Among her early moves in office included a solar leasing policy and a 1:1 ratio for solar energy sales prices to increase solar power in Malaysia’s electricity generation mix, a subsidised flat-rate public transport monthly pass to reduce carbon emissions from vehicles, and speaking out against dangerous radioactive waste management at a rare earth plant operated by Australia’s Lynas in Malaysia. Yeo has also made bold statements on Malaysia’s hitherto lack of commitment to climate issues, including deriding the severe understaffing of the climate change unit in her ministry and lamenting that “two years after the country signed the Paris Agreement, nothing much has been done”. In accordance with the PH manifesto, Yeo announced three important climate-related commitments: a climate change centre to be set up in the coming months, a national climate change adaption and mitigation plan to be completed by the end of 2019, and a Climate Change Act to be tabled in parliament in 24 to 30 months. In preparation for these developments, Yeo’s ministry is currently developing a comprehensive risk analytic simulating scenarios with a rise of temperatures of 2°C above pre-industrial levels. While commendable, this flags a possible legacy issue. The UNFCCC’s latest Special Report recommends all mitigation and adaptation efforts to be consistent with limiting global warming to 1.5°C, as climate-related risks to health, livelihoods, food security, water supply, human security, and economic growth would be much higher at 2°C. Remaining focused on the higher 2°C is indicative of a government still not prepared to make difficult economic and developmental sacrifices in favour of common climate interests. Furthermore at COP 24 Yeo, in a throwback to Mahathir’s notorious 1992 speech, continued to deride the lack of and misplaced climate assistance from developed countries to Malaysia and avoided any mention of increasing Malaysia’ INDC commitments. Who’s in Charge of the Climate? While MESTECC holds the portfolio for climate change, in reality environmental issues in Malaysia is confusingly the shared responsibility of three ministries: MESTECC, the Ministry of Water, Land and Natural Resources led by Xavier Jayakumar and the Ministry of Primary Industries headed by Teresa Kok. Potential problems from this arrangement become clear when one considers the main emission contributors in Malaysia according to sector: energy, transport, manufacturing, waste and agriculture. Indeed, MESTECC has already started taking positive action on most of these sectors, however major contributing sectors like agriculture are outside MESSTEC’s scope. Instead, the agriculture sector is again, a shared responsibility of the two other ministries. Of particular concern is Malaysia’s current position as the world’s second largest producer of palm oil. Malaysia has long acknowledged the importance of forests as a carbon sink, and Malaysia’s 50% forest cover pledge has consistently been a key component in the country’s commitments to combat climate change. However, avid conversion of forests to oil palm plantations post-UNCED has sped up the rate of deforestation in Malaysia bringing the country to the very brink of its commitments at only 54.5% forest cover, as announced at COP23. This leaves Malaysia with very little wiggle room left for future expansion after less than three decades. Compared to Yeo, the other two new ministers have only engaged with climate issues in passing. In fact Kok, in response to anti-palm oil movements in European countries, dismissively issued a blanket statement that “Malaysia was already acting as a responsible member of the international community in fulfilling the collective duty of addressing climate change and protecting the world’s biodiversity for the common future of humankind”. And while curbing overlogging has been the main focus of Jayakumar in his first months in office, he has not explicitly linked this to Malaysia’s climate commitments. Instead, in tandem with Kok, he focuses on how controlling overlogging can be a strategy to appease Europe’s anti-palm oil lobby. While many experts have convincingly argued that Europe’s anti-palm oil movements are misplaced, the ministers’ myopic focus of the palm oil ‘problem’ through a largely economic lens may be missing the forests for the trees. With two out of the three ministries responsible for environmental issues still prioritising natural resource-led development over environmental and climate concerns, this could be a serious stumbling block for Yeo’s efforts at her ministry. In wrapping up her speech at COP24, Yeo pointed out that in the Chinese language, crisis is “WeiJi”, with “Wei” meaning danger and “Ji” meaning opportunity. Indeed for Yeo, the potential opportunity for Malaysia in the midst of this rising climate urgency is the opportunity to build its green industry; to create jobs and experts who will be in demand all over the world. This may however be premature as Malaysia as a society still has a long way to go, with public awareness about climate change remaining low at a meagre 32% to 40%. Even though indicators like frequent floods and temperature rises are increasing in the country, most Malaysians still do not link this to climate change. MESTECC has its work cut out for it: to not only focus on climate change adaptation and mitigation, but also on basic climate education. Furthermore, there is still need for leaders of the new Malaysia to move away from the old Mahathir legacy prioritising economic growth over environmental concerns. For all its revolutionary promises, this will not be easy for the PH government with the old guard at the helm once again. However, climate action at MESTECC is worlds away from the lukewarm efforts of the previous government, so there remains hope yet. Nations are meant to increase their climate ambitions and INDCs in the year 2020. It remains unclear if Yeo and her ministry are prepared to do so. However, strong independent voices like the Malaysian Youth Delegation, an NGO comprising young Malaysians who represent the local youth climate movement at international conferences, continue to remind the government that while it is important for Malaysia to continue to uphold the principle of common but differentiated responsibilities, this should not hold the country back from increasing its climate commitments and action with greater urgency.